Kathy Charles’ debut novel Hollywood Ending was recently released in Australia by Text Publishing (John Belushi Is Dead, MTV Books, US). In my review for the October issue of Australian Book Review I said: ‘Kathy Charles creates a world both familiar and strange … Despite being highly, if darkly, entertaining, the book hints at deeper issues, such as the extent of superficial distraction in contemporary Western society; hence the nostalgia for meaningful films and stories about the past, plus the effect of this superficiality on emotionally perceptive youth, drawing them to seek meaning in the most harrowing aspects of existence.’ I called it ‘subversive, engaging and energetic’. 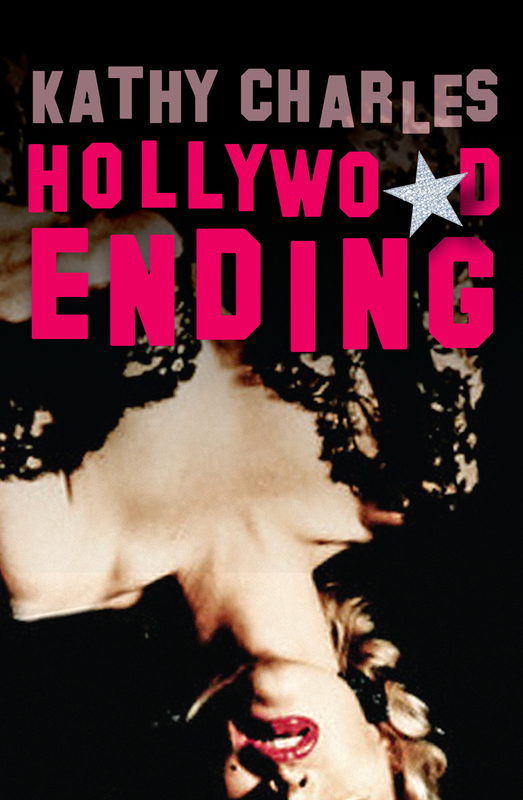 So here, for your pleasure, is a ‘responsive’ interview with the author of Hollywood Ending – Kathy Charles. I have this photograph of John Belushi as a canvas print in my hallway. Recently a friend asked me why I had a picture of Guy Sebastian hanging on my wall. Guy Sebastian aint got lapels like this. There is a lot of controversy surrounding the idea of ‘Dark Tourism’, which is when people visit places where death and suffering have occurred. When bad things happen there is an inclination to erase any evidence of the event, which is understandable, but I think it is just as natural to want to see these places for yourself. Los Angeles has a booming Dark Tourism industry, due to the number of scandalous incidents the town has played host to. But LA is also a town that constantly reinvents itself, and so many of theses sites, like the Ambassador Hotel where Senator Robert Kennedy was assasinated, are being lost to development. I was once a paid-up member of the David Bowie Fan Club. This was mainly so I would be one of the first to be able to buy tickets to his Melbourne concerts. The first night I was in the front row, within spitting distance of the man himself. I like to think we made eye contact on more than one occasion. The second night I was way up the back, but Bowie decided to mix things up and play the entire first half of the album Low which more than made up for the crappy seats. David Bowie is an architect of our modern idea of fame, and managed to combine both style and subtance without forsaking one for the other. In an interesting side note Gus Van Sant directed this music video. He also directed a music video for the boy group Hanson of ‘MmmBop’ fame. Someone once told me that my head was so full of trivial pop culture nonsense that there couldn’t be much room for anything else. I guess they had a point. I once saw Paris Hilton shopping in Bel Air. There was one lone photographer with her and it seemed pretty obvious in the way they interacted that she had enlisted him to follow her around. Celebrity is largely an illusion. When the young and beautiful hit the town in Hollywood they have their publicists send out a press release so the paparazzi will know where to find them. The same actors who shield their faces and beg for their privacy know very well that if they choose to lunch at The Ivy they will be photographed. The reluctant star is a very carefully constructed persona that plays on our sympathies. It takes a lot of hard work to make it look so unwanted. Some people believe that numerology plays a significant role in celebrity death. There is a group called the Forever 27 Club that refers to musicians who died at the tender age of 27. Members of this club include Jim Morrison, Janis Joplin, Jimi Hendrix and Kurt Cobain. Chris Farley died at exactly the same age as his idol John Belushi. Then there’s John Lennon and his connection to the number 9. I think such superstitions help us fathom why people we love die and admire die so tragically. It gives us some kind of weird logic we can grasp onto. In 1932 a young actress named Peg Entwhiste moved to Hollywood with dreams of being a movie star. She was signed to a contract at RKO Pictures but only ever received a small role in one film. 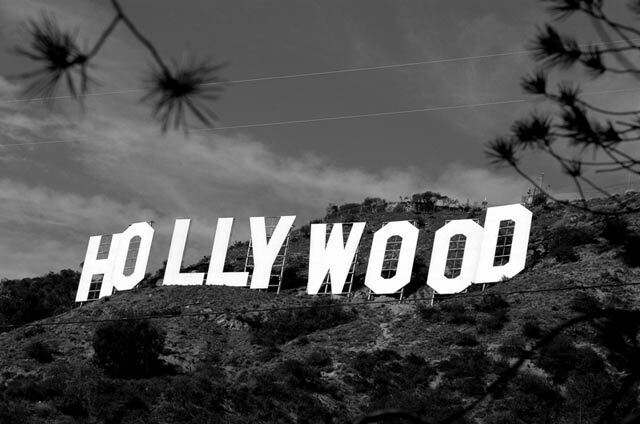 When RKO decided not to renew her contract she walked up to the end of Beachwood Drive and made her way through the thick brush to the Hollywood sign. When she arrived at the sign she climbed the ladder to the top of the 50-foot letter ‘H’, looked out over the town that had rejected her, and jumped. She was 24 years old. It makes me sad when people who seem to have so much going for them die tragically and needlessly. Every time I listen to a Kurt Cobain song or watch a John Belushi movie I can’t help but wonder what else they could have achieved had they stuck around. Some days it’s enough to bring me to tears. Most people have little sympathy for celebrities who throw it all away, as they appear to have it all. I think the idea that you can be rich and famous and still miserable scares us. Sometimes it’s easier to judge than empathise. In the song ‘Sunset Strip’ Courtney Love sings: ‘Rock star. Pop star. Everybody dies.’ No matter how famous you are, in the end we all fade to black. Text Publishing’s Hollywood Ending page. 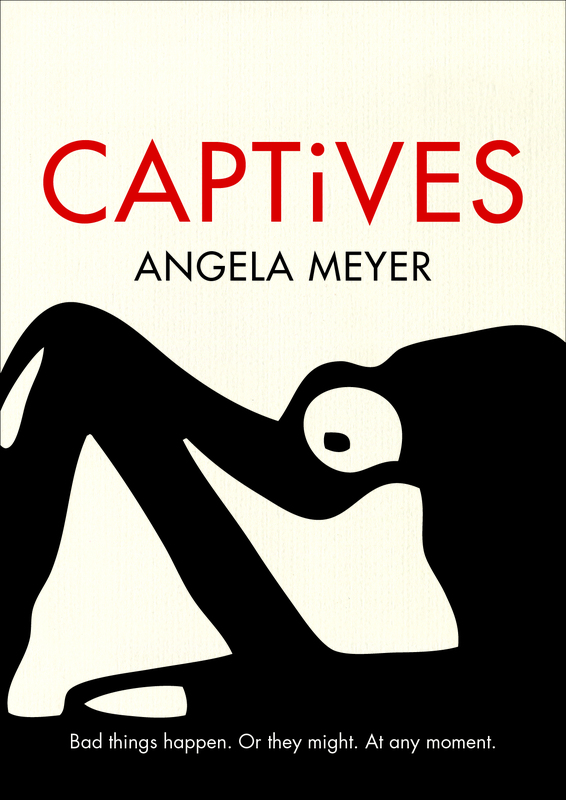 Always love these, Ange. Book sounds terrific, too.